Last night I took my son to see Mr. Bob Dylan at The New Backyard in Austin. Wow what a great show – performed under the warm evening sky in the beautiful Texas Hill Country, Bob and his band were amazing. He played a great mixture of his classics and his new songs from Modern Times and I could not have been happier. My son loved the concert too. 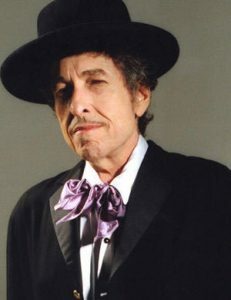 Born on May 24, 1941 Bob Dylan is almost 70. This gives myself, Kentucky, and especially The Consul some real hope – instead of just two or three years we were expecting before the Drinking Man petered out maybe we can look forward to another twenty or so. This will even make up for the 15 year break imposed by Kentucky, although it won’t change my impression of 64 minutes of so called music from Lou. If this is not cause for celebration and the continuation of the search for the Perfect Pint, I don’t know what is. Thanks Bob.